If the idea of foie gras, risotto, wagyu beef and salmon sashimi being sold in a hawker centre surprises you, then you really have to get with the times. 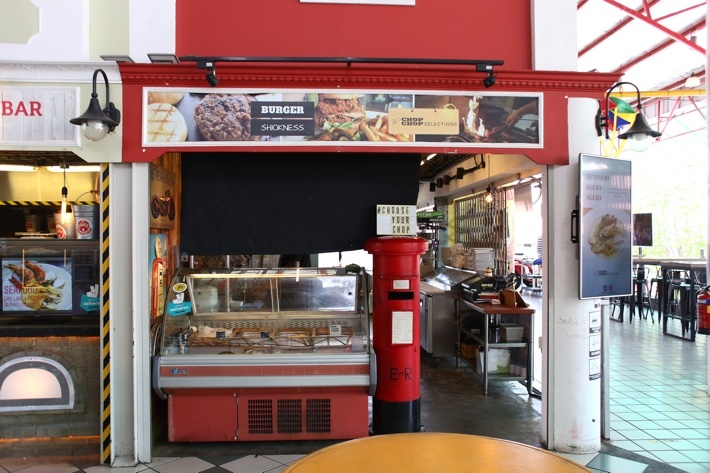 Scattered throughout The Bedok Market Place over at Simpang Bedok, is a wide variety of hawker stalls that sell premium, high-quality foods at a fraction of the price that many restaurants sell them at. We’re talking real-deal Italian food, freshly baked artisanal bread and many more! From The Burning Oak which specialises in Japanese char grill to The Naughty Chef which serves up naughty renditions of Italian classics, here are our recommended 10 stalls at Simpang Bedok Marketplace that you definitely need to check out. Chop chop selections serve up generous portions of Western hawker style food that is great for the ravenous. Besides the usual staples such as steak, chicken cutlet and fish & chips, they also have their fair share of interesting dishes such as their juicy Wagyu Patties Rendang Burgers. The Fish-Master specialises in fish soup, and we are not just talking about the sort that you can get at your usual hawker centres. Here, you can opt for premium fish here such as red grouper for just S$10. Who can resist a piping hot bowl of ramen? The ramen noodles here are handmade every day with their on-site noodle-making machine which ensures consistently perfect, springy ramen noodles. Their broth is also boiled for 8-hours and has no added MSG, guaranteeing absolute flavour. This wanton noodle stall serves up a solid bowl of wanton mee that is sure to satisfy anyone’s wanton noodle cravings. Another popular item here is their signature chicken feet which is sure to please the taste buds of anyone who loves a good plate of chicken feet. What’s a hawker centre without a stall selling mala xiang guo? Over at this humble mala stall, they put out on display, a wide variety of ingredients, so go ahead and load up those bowls and be prepared for one heck of a tasty yet mouth-numbing experience. Mr. and Ms. Kneady are two adorable, artisan bakeries that sell different bakes. Mr Kneady sells a variety of delicious, dense sourdough bread and pizzas while Ms. Kneady sells sweet treats such as pastries and desserts. All of their items are baked fresh daily. For those of you who love Japanese food, Sakana-ya is a great place to try out. Their menu offers an extensive selection of authentic Japanese food. They also sell fresh, thick cuts of sashimi that is great for when the sashimi cravings hit. The Burning Oak has been on everyone’s radar for the longest time and we aren’t surprised why. They sell some solid Japanese char-grill that is definitely worth the long snaking queues. The meat served here is all incredibly tender and a are of “melt in your mouth” quality. We also appreciate how generous the portions are. Definitely worth the hype! The Naughty Chef believes that authentic Italian food should not be expensive. This can be seen in their menu choices where they serve up affordable, delicious Italian food at a fraction of restaurant prices. Here, they sell classic Italian dishes such as pasta, pizza and risotto. There are also desserts such as pannacotta and Baileys tiramisu. What’s unique about this place is that the seafood is served in buckets. Just chose the type of combo you want and it will be given to you in a large bucket which you can pour out for communal dining. They have staple crustacean and shellfish options as well as an array of unique sauces like salted egg yolk and laksa to go with your seafood.